I love painting.s I don’t know much about styles and other art world ‘esoterica’, I tend to have a visceral reaction to these things. If it grabs me from its visual consumption, I am good with that. I discovered Njideka Akunyili-Crosby recently. The above makes me happy, it speaks to me. This is a scene that looks like one I’ve experienced. And if not I can appropriate what she’s created because it is so familiar. Evocation, nostalgia…..
09 Nov	This entry was published on November 9, 2014 at 1:26 am. 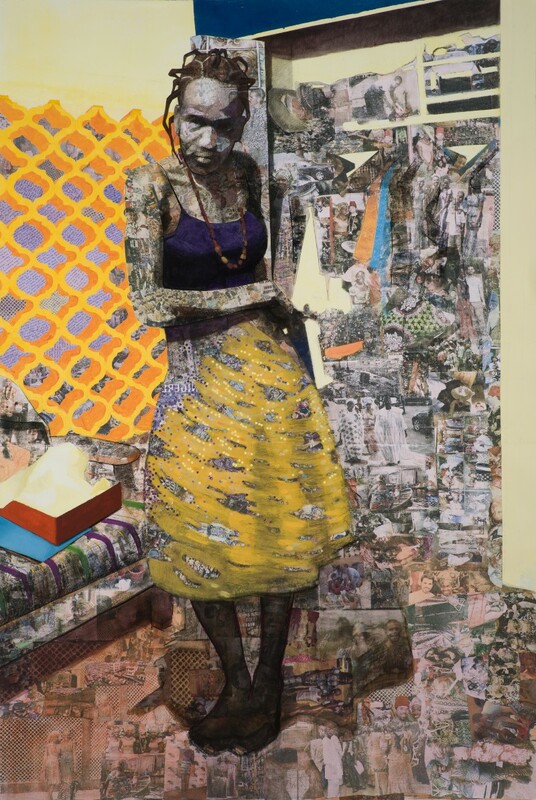 It’s filed under Art and tagged art, Naija, Njideka Akyunyili-Crosby. Bookmark the permalink. Follow any comments here with the RSS feed for this post. Older: Music – Saffa House Meets Naija Rap. Newer: PïF – Patriots Tee.